Waterfront (2 waterfront units combined)! Completely Renovated in 2017 w/ central A/C! Ultimate luxury Home in Coal Harbour! 3,161 sf, occupying the entire front half of the floor. 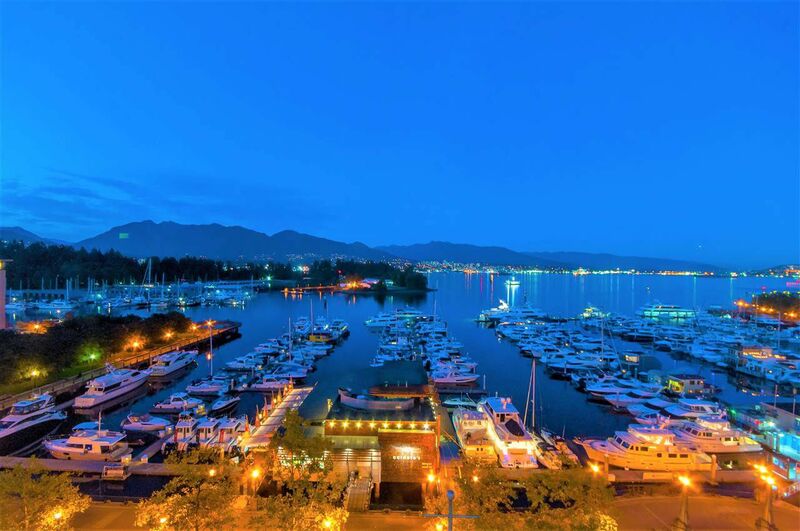 Stunning, direct, unobstructed views of ocean, mountains, Stanley Park, private marina. The views changes dramatically in colour throughout the day, making you feel like you live in a beautiful live painting. Huge master bdrm suite directly facing water - extremely rare. Open layout/space, luxury finishing, built-in cabinetry throughout, chef's kitchen w/ Thermador appliance, designer dressing rm. Currently 2 bedrooms, 2.5 baths, can be converted back into 4 beds & 4 baths. 4 parking: 2 r a huge private enclosed garage. 24/7 concierge; luxury amenities: indoor swimming pool, hot tub, gym, squash rm, theatre, etc.